Winter has come, and with it- cold and flu season. But what most people don’t know is that cold and flu season is not brought about by the temperature outside, but instead by micronutrient deficiencies caused by, among other things, increased holiday sugar intake and low vitamin D levels – inside our bodies. Aside from the myriad of health conditions and diseases micronutrient deficiencies contribute to year round, durning the winter months these micronutrient deficiencies also contribute to something called Seasonal Affective Disorder (SAD) and decreased immune function. When we think of SAD, vitamin D immediately comes to our minds. This is because low direct sunlight levels during the darkest months of the year in almost all areas of the United States inevitably take its toll, compromising vitamin D production. Low vitamin D compromises your feel-good neurotransmitter serotonin, paving the way for a seasonal depression. But vitamin D isn’t just involved in mental health. It also plays an important role in your infectious-disease armor. Let’s dive deeper into vitamin D, smart nutrition, and lifestyle considerations you can use to build your flu-fighting arsenal. It’s time to learn both Defensive and Offensive immune maneuvers! Nourish your Microbiome. Both in your nose and on the surface of your skin, your microbiome supports your immune system in being a first line of defense against illness. Many supportive strains of good gut bacteria have been shown to secrete important substances that damage many human pathogens. Avoiding damaging chemicals, such as pesticides in food, harsh skin and cleaning products, or paint, smoke, and gas fumes. Choose organic products for your diet and body, and consider products made with essential oils instead of synthetic fragrances. Control the Champagne. Avoid (excessive) alcohol intake, which can compromise most nutrient absorption- including zinc and B vitamins- and create oxidative stress that depletes your antioxidant levels. You need those nutrients for a strong defense. Mind your Medications. Medications have metabolic consequences and can deplete immune-boosting micronutrients. Consider antacids (vitamin D, zinc), aspirin (vit C, zinc), ibuprofen (zinc), and antibiotics (a long list) that are often used to control symptoms of illness. Consider the value of micronutrient sufficiency before turning to over the counter remedies. While many nutrients- like all-stars vitamin C, zinc, and certain B vitamins- contribute to flu resistance, vitamin D is a lesser known superstar. Given that vitamin D’s role in soothing autoimmune conditions currently receives loads of health media attention, it is easy to forget that this fat-soluble vitamin also plays a role in supporting your healthy immune response to everyday infections- including a cold or flu. White blood cells such as B cells, T cells, and antigen-presenting cells of your immune system have receptors to get signals from vitamin D. Vitamin D deficiency is not only associated with increased autoimmunity, but also increased risk of infection! That means that adequate levels can not only improve your response to an invader, but also reduce your risk of several unsavory conditions where your immune system attacks your own tissues. Many (like us) wince at the idea of a aluminum-laced flu shot, potentially including mercury, which has been an unimpressive-to-some 40% effective in recent years. Interestingly, a study reported in the American Journal of Clinical Nutrition involving more than 330 children ages 6-15 found that vitamin D3 supplements (1,200 IU daily) may be more effective than the flu shot, researches found that the children taking the daily vitamin D3 supplementation were 58% less likely to catch the flu compared to the schoolchildren who did not supplement with vitamin D3. What about adults? A recent review in the British Medical Journal investigating 25 randomised controlled trials with almost 11,000 participants concluded that daily and weekly vitamin D supplementation offered about 10% protection against acute respiratory tract infections (cold and flu), regardless of age. However, this protection increased dramatically – to 50% – for the segment of the population that were deficient in vitamin D. Remember according to the USDA 93% of Americans are deficient at achieving the EAR (estimated average requirement) for vitamin D without supplementation. (And that’s just one critical nutrient. Imagine a world in which we all achieved micronutrient sufficiency across the board!) Considering that if you live anywhere on the planet on a latitude north of Atlanta (approximately 33 degrees north), it’s impossible to produce vitamin D from the sun during the winter months, you may wish to consider testing your vitamin D levels to know where you stand. 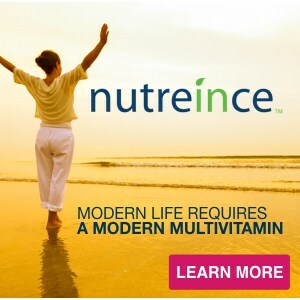 Or just grab a box of our multivitamin nutreince, which contains 2000 IU of vitamin D3 – just the right amount of vitamin D to power you up for flu protection. These diverse nutrients are knights in shining armor that stand proud in your immune-boosting army. Fight the flu and other invaders with your knowledge of these and other important nutrients. Quercetin. Quercetin is a powerful polyphenol antioxidant that can help you resist invasion, kill the invaders, and be stronger next time. It both directly inhibits influenza viruses A and B replication and helps mop up the damaging superoxide anions (oxidants) produced by your own immune cells in their fight against the invading virus. Reducing oxidative damage means you are much more likely to feel better during the infection and heal more quickly as it resolves. In the future, synergistic effects between quercetin and other supplements may be utilized as flu fighters because promising research shows that quercetin is unlikely to create resistance when it is used to treat infection. Like omega-3 fatty acids, quercetin also helps reduce inflammation. For some, its anti-histamine activity can lessen feelings of congestion and digestive dis-ease. With so many mechanisms for fighting flu and resolving symptoms, we put quercetin on the top of our list- and include plenty of it in nutreince! Omega-3 Some studies have linked fish oil supplementation to increased B cell activity. B cells are a critical part of your immune response, helping you identify and tag invaders. 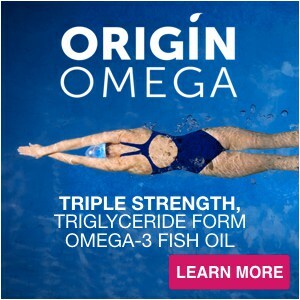 Taking a high quality fish oil supplement (like Origin Omega with clean triglyceride forms of EPA and DHA that are delivered separately to eliminate competition) can boost your omega-3 intake and keep colds at bay year round. Reducing inflammation with omega-3 fatty acids can reduce your risk of numerous problems, including the load of oxidative stress that can deplete micronutrients and compromise your immune system. Not more protein- the right protein. While every amino acid (building block of protein) has important roles, let’s laser in on L-lysine. Lysine boosts your immune response significantly. High lysine (and low arginine) intake is commonly used to reduce herpes breakouts. We mention this in particular because a vegan diet can easily become deficient in lysine, and we don’t want you to miss out. 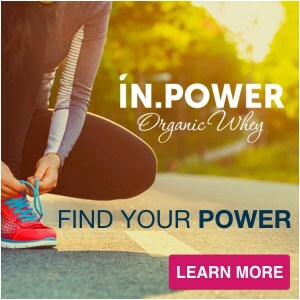 If you don’t absolutely love high lysine vegetarian foods, such as lentils, pumpkin seeds, and tempeh, consider supplementing your regular meals with a delicious Triple Threat Shake with our cleanly sourced, lysine-rich IN.POWER Whey or Plant Proteins. Problem solved. MCTs from Coconut Oil. While not a direct flu fighter, coconut oil may help you keep your defenses strong against other invaders that can wear you down. Historically, coconut oil has been used as an antimicrobial agent. 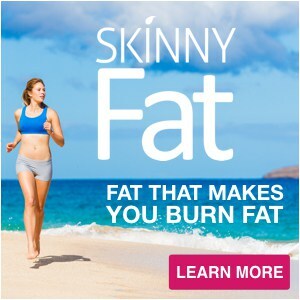 Modern science has investigated these properties and found that concentrated MCTs (medium chain triglycerides) extracted from coconut oil are more effective at reducing bacterial growth than the coconut oil in its pure form, and has been shown to be effective against particularly unpleasant bacterial infections, such as diff or MRSA, and even against pathogenic bacteria in our mouths.,, Enter SKINNYFat, our proprietary blend of MCT oil and organic coconut oil that is completely tasteless, so it is easy to add to almost any recipe, helps you burn fat rather than get fat, and, most importantly, may reduce your risk of infection both topically and internally. Basil and Lavender Oils. 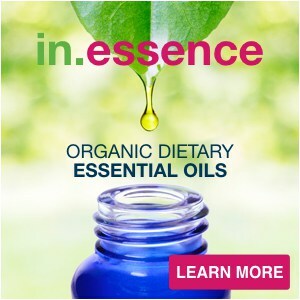 Essential oils can be therapeutic, relaxing, invigorating, and cleansing. Consider as alternatives to medications that compromise your immune nutrition. You may choose to diffuse into your airspace or dilute with care and apply topically. For instance, antioxidant-rich sweet basil oil has been shown to reduce inflammation both by suppressing nitrous oxide production as well as inflammatory chemical messengers such as TNF-α, IL-β, IL-6. Headache-soothing lavender oil has been shown to prevent the growth of MRSA! Lest we ignore the critical role of integrative health in your overall immune function, it is helpful to engage all aspects of your lifestyle in arming yourself in flu season- and year round! Support your Sleep. Adequate micronutrients (and maybe your good gut bacteria) may help nourish a poor sleep cycle. Consider the value of adequate magnesium and vitamin B6 in generating the antioxidant hormone and deep-sleep-supporter melatonin. Consider the value of adequate protein (as amino acids) to make relaxing neurotransmitters, such as glycine, GABA, or serotonin, all of which need micronutrients for processing. When formulating nutreince we actively considered the role of micronutrients to support mental health, immune function, and nourishing rest. For more about what quality sleep is and how it can nourish your immune system, check out this interview. Exercise to Progress, not Excess. Exercise can build you up, but over-doing it can wear you out and use excessive micronutrients for repair. Balance is key. Soothe Stress. 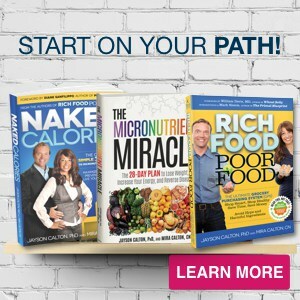 Maybe even soak in an epsom salts bath for a magnesium-rich boost with a copy of Micronutrient Miracle. Need we really work to convince you? So… Power Up! You know the basics of flu season- you’ve been here before. Let us help support your most resilient self during this trying time of year, both physically and emotionally. Consider dietary balance, rest, and self-care as you up your offense and your defense. You’ve got this season handled because you know the value of high quality nutrition- and you can always learn more with us!